But the NFL got what they needed: a great game without Trump or player protest getting in the way. Let’s get the easy part out of the way: That was the greatest Super Bowl I have ever seen in my life. 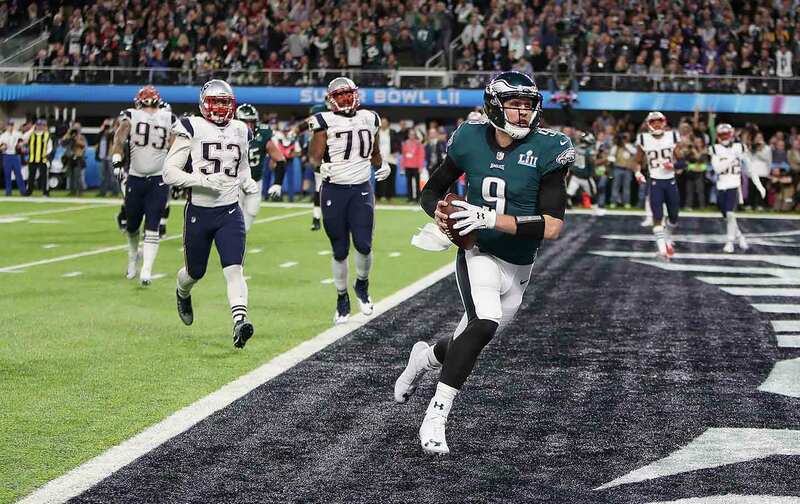 The Philadelphia Eagles beat the almighty New England Patriots 41-33, sending the City of Brotherly Love into a spasm of lusty joy. Instead of the Patriots’ winning their sixth title in 16 years, the Eagles win their first. Ever. There are many reasons to feel a tremendous sense of satisfaction about an Eagles triumph, and not just to cheer for a long-suffering sports town. The Super Bowl champs are a team that spent the 2017 season at the heart of the protests and gestures staged during the anthem against police brutality, mass incarceration, and this president. They have now shown the world that having a conscience is not a distraction from team success, a vital civics lesson that will trickle down to high schools and sports far from football. The next time a coach tells a player that they are putting themselves ahead of their team by giving a damn about their community, that young athlete can point at these Eagles and stand—or kneel—with confidence. And what a damn game! According to @NFLResearch, Super Bowl 52 had the most total yards (1,151) of any game in NFL history. Patriots All-World MVP quarterback Tom Brady became the first QB in any game ever to throw for 500 yards and three touchdowns, zero interceptions, and still lose. Hell, the Patriots did not even punt once, and still they lost. Brady was somehow out-dueled by Eagles backup quarterback Nick Foles, starting in place of injured star Carson Wentz. For folks who are still football fans–despite the many reasons the league has generated to push us away, from the blackballing of Colin Kaepernick to the horrific effects of head injuries–this game was the goosebump-generator that Roger Goodell desperately needed. In addition, the NFL didn’t have to deal with the 15-year tradition of a president doing an interview before the game—an interview that surely would have addressed the tired ugliness of Trump’s highly racialized “war with the NFL” and his vulgar attacks on players who protest police violence during anthem. Instead, Trump chose to go to another Trump property instead of sitting down with Lester Holt of NBC News, possibly because the last time he sat with Holt, the president kind of, sort of admitted to a felony. The game’s announcers, Al Michaels and Cris Collinsworth, also followed their depoliticization marching orders, providing minimal coverage to the story that animated this season: players protesting racism during the anthem. They also not surprisingly did not address the presence of the hundreds of people protesting throughout the Twin Cities, against the militarization and hyper-commercialism, of the big game. As they gushed about Minneapolis as a host, you would never know that brave people were blocking the light rail to the game, because on this day it was “public transportation” reserved for those with Super Bowl tickets. Hell, Roger Goodell for the first time in living memory didn’t even get booed when handing over the Lombardi trophy. It was surely a blessed relief for Goodell and the NFL to just be able to turn the politics off at least for the night. Given the number of players on the Eagles who have already announced that they would not be going to the White House, it won’t last long.